To become a Certified Special Teams U Instructor you have to be an expert on long snapping. 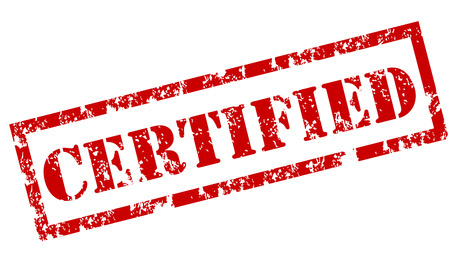 Each Certified Instructor not only worked privately with Coach Stelter for years, but has been tested over and over again to ensure they know their stuff. Through many years of hard work, each of these instructors have shown they have what it takes on the field, now they have the opportunity to show you how to do the same. 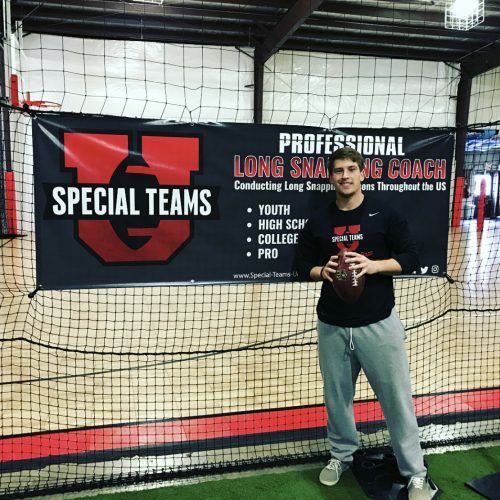 Danny has been training with Special Teams U for years and is now bringing his experience and knowledge to you! If you are in North Carolina and want to meet up with Danny to fine tune your long snapping then this is your opportunity! 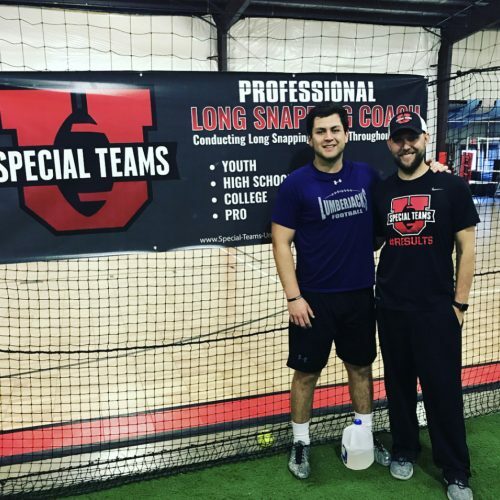 Chris Wilkerson is one of the top long snappers in the 2019 NFL Draft and has been putting in the work since his early years in college. Chris has made HUGE changes to his technique by working with Special Teams U and now he wants to show you how to do the same. Book a session with Chris today! 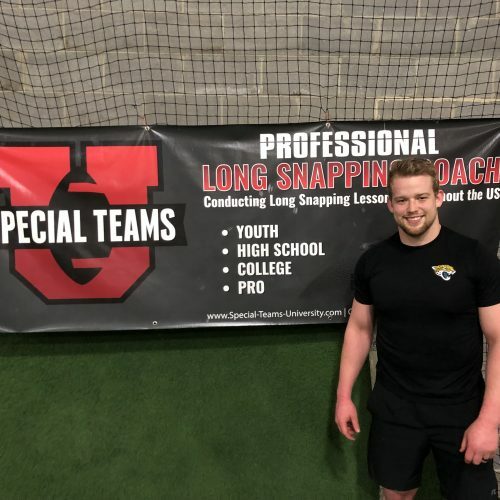 Jacob has transformed himself from an undersized small school snapper to one of the top Free Agents on the market landing NFL workouts by working with Special Teams U. Let Jacob show you what has helped him reach the peak of his game by scheduling a lesson with him today!